IMCDb.org: 1965 Ford Mustang in "La bonne année, 1973"
Officially the first year for the Mustang was 1965. 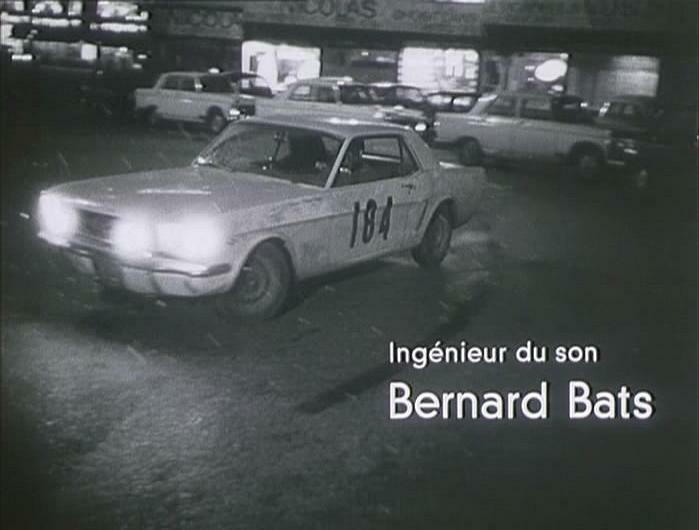 1966 Monte Carlo Rally footage. No. 184 finished 11th driven by Greder/Delande, as part of a semi-works team of Mustangs entered by Ford France.